Daniel Farke's side were right at the top of their game, as they have been for some weeks now, while Rangers, who had John Eustace in caretaker charge following the sacking of Steve McClaren, were hopelessly off the pace. Having just been fouled himself, the midfielder launched into a wild challenge on substitute Josh Scowen as he prepared to clear, catching him in the process and, after consulting with assistant referee Scott Duncan, brandished a red card - Norwich's first in the league this season. 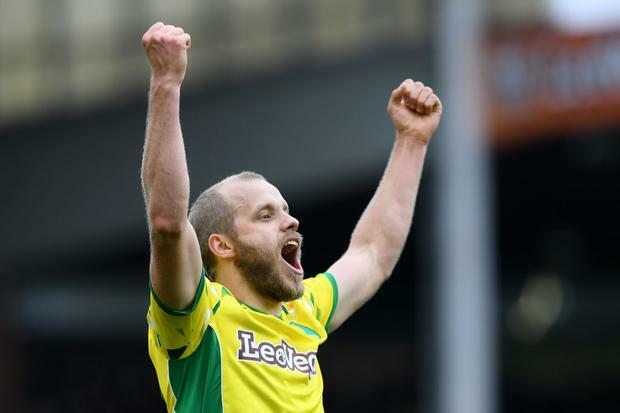 Even with one less man Farke's side still looked the better side and they made it 4-0 on 85 minutes when Pukki got his second.